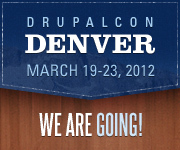 Drupalcon is fast approaching Denver - it is about three months out (March 19-23). The INsReady team (company profile on Drupal.org) has been quite active and we have plans! Jingsheng Wang (CEO) will be presenting on "Building Android Apps with Drupal" on Tuesday, March 20th 3:45-4:45pm. If building mobile apps, Android or cloud computing architecture interest you, please mark down your calendar and attend Jingsheng's session. Furthermore, Jingsheng will join Jacob Singh's (Principal Engineer at Acquia) panel to present "The Elephants are Coming: Drupal in India, China and Beyond" on Thursday, March 22nd 10:45-11:45am. Please don't miss that as well. Jin (Edx) Xu (Software Engineer) joined INsReady in May, 2011. Within the next 7 months, he learned PHP, HTML5, CSS3, Java, Nignx, Debian and Android; he wrote his first programming loop, first patch to Drupal.org modules, first Drupal Module, first Android app, then he applied for the DrupalCon 2012 Denver scholarship and has won it!! 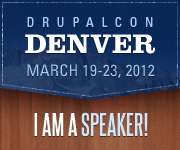 He is excited to join the global Drupal community at DrupalCon Denver 2012 to learn, explore, and contribute back! Interested in what we're doing? Follow @INsReady on Twitter and WeiBo or check out our Google+ page. Stay Tuned! It is going to be a fabulous Drupalcon here in Denver.